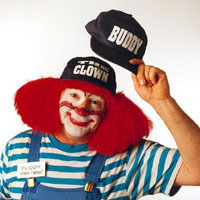 Buddy has performed at more exhibitions than any clown in Canada. - North Thompson Fair, B.C. 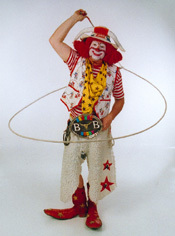 Buddy performs either a variety or western stage show, and/or roving. 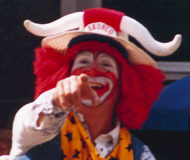 "A real wild west show"
You'll get both a fair deal and a fair deal more when you hire Buddy. 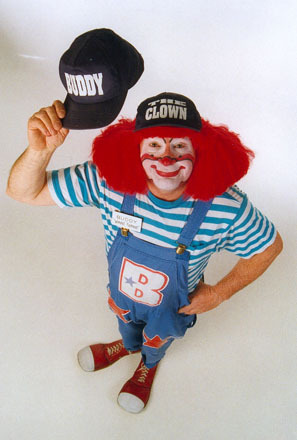 "I would let anyone know, who was thinking of hiring Buddy, to expect a responsible, prompt, and helpful individual, as well as a funny clown." 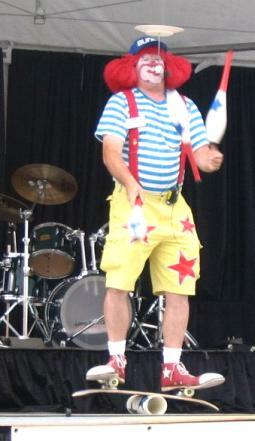 "Buddy's interactive performances, both on the stage and as a walk-about were very well received by the fair visitors. 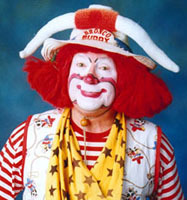 We would certainly not hesitate to recommend his services to any other fair or organization."